I bumped into our famous satayman at the Redhill market this morning. Had a quick chat with him to find out how he is doing. Seems that he will be selling satay from Good Chance Popiah (Jalan Berseh branch) when he is ready. He seems excited talking about his career upgrade and he just need to pass the food preparation course before he start selling there. He said the boss of Good Chance Popiah will be putting up newspaper advertisements to inform people about the satay when they are ready. When asked why he did not consider Tiong Bahru market, he said the crowd at the market was not good enough according to Good Chance Popiah boss. By the way, it won't be sold at the same price as before and they seems to have plans about making it into a chain and perhaps expand overseas as well. And they will call it the Tiong Bahru Satay or something with the Tiong Bahru label. Some of you may remember we almost lost our satay man to China a few years back when someone offered him a job there to sell satay. It's the same boss who is giving him the opportunity again. This is also the boss who came and fetch him to NEA and help him pay the fine. Mr Satay man also offered some insights into how he was busted 3 times for illegal hawking over a period of 2 weeks. He claimed that on one occasion, someone set him up by ordering 400 sticks and left after eating just 1 stick. Thereafter 2 NEA enforcement officers and 2 policemen showed up. He also mentioned a couple who heard about his plight and ordered 50 sticks of satay. And they gave him an Ang Pow to pay off his fine when they collected their satay. So yes, our satay man is doing fine....just hoping against hope that he will reconsider setting up shop in the estate that he started serving those sinful fatty satay. Meanwhile, keep calm and keep drooling till he get his certifications. With rapid gentrification came a voracious demand for commercial space, luring many to lease ground floor residences under home office and showroom licences for use as retail shops. THEY came, they injected fresh buzz to a sleepy neighbourhood and now, they're being given the boot. After years of flying under the radar, several businesses in Tiong Bahru estate have been asked to vacate their premises by the Urban Redevelopment Authority over the last two months, following complaints from the neighbourhood's residents. The businesses were found to have been using residential ground floor units for commercial purpose, and were given one month to cease doing so or face enforcement action under the Planning Act, according to notices posted outside the units by the URA. 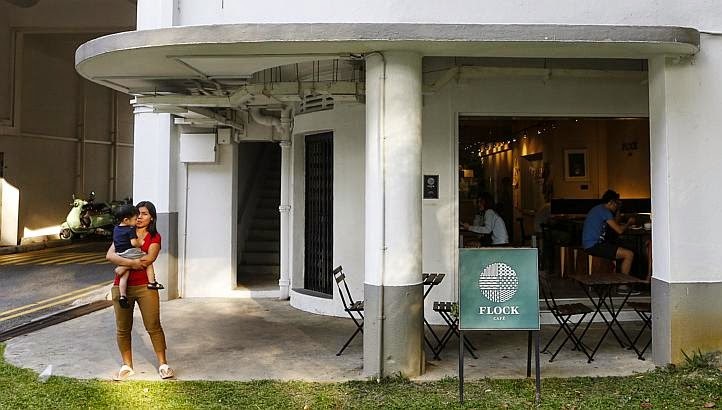 Among the businesses affected by URA's recent actions are a handful of startups and design agencies, homeware shop and studio Bloesem, apparel retailer Nana and Bird, and decade-old nail parlour and spa Hui Aesthetics, which had just spent S$30,000 to spruce up its rented unit last June. 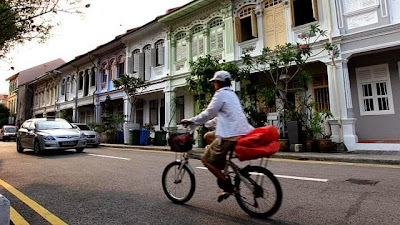 Comprising a network of conserved low-rise housing blocks built in the 1940s and 1950s, Tiong Bahru has been undergoing a renaissance among youths, expatriates and tourists in the last five years. But with rapid gentrification also came a voracious demand for more commercial space, luring many new businesses to lease ground floor residences under home office and showroom licences for use as retail shops. 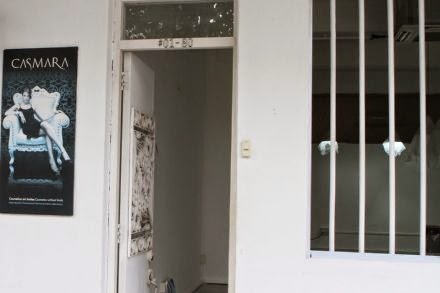 One business owner, who had to prematurely terminate the leases on two shop units, said that she received a warning letter from the URA a month ago, followed by a site inspection by several police officers last week. She vacated the units the following day. "It was intimidating. I'm not a criminal - we're just trying to bring beautiful objects to the neighbourhood," she said. Another affected retailer, who has been featured in several newspaper articles and guidebooks on Singapore since setting up shop in 2011, said that her two appeals to the authorities for an extension of the grace period to the end of her lease in July were both rejected. The sudden news and short notice period is particularly damaging for a small business, she said: "We're in Tiong Bahru because we can't afford to be in a shopping mall, and I'm now scrambling to find a new space, while getting in contractors to reinstate the current unit and negotiating with the landlord on terminating our lease." When contacted, a URA spokesman said that the matter was brought to their attention by residents, and that the operators of these unauthorised commercial uses did not seek planning approval before starting, rendering them illegal. "As the premises are intended to be used for residential purposes and the uses have created disamenity to the neighbourhood, we have taken enforcement action on them." But one retailer, who was told by the URA that residents had complained about the consequent increase in vehicular traffic, said that her store draws only 5-8 walk-in customers on weekdays, and up to 20 on weekends - a far cry from the crowds that patronise the area's many licensed eateries. More gravely, some licensed businesses have flouted conservation rules by completely augmenting the facades of the conservation units, while she had retained much of her unit's original form. This isn't the first time that tensions have arisen between residents and new businesses in Tiong Bahru. Residents have repeatedly complained about the excessive noise, traffic pollution and the displacement of heritage trades by Western-leaning businesses that don't serve the needs of the area's aged inhabitants. The estate was also plagued by a prolonged rat infestation in 2013, which many blamed on the doubling in the number of neighbourhood eateries to about 30 over the last five years. The URA and Housing Board have since been turning down some new applications to turn shop premises into eateries in recent years. Tan Chiew Ling, co-owner of Nana and Bird, feels that better change can be enacted through dialogue. "If Singapore wants to champion local businesses and creativity, it cannot be done via a top-down approach and without a platform for discussion. We hope that residents and business owners can be brought together to tackle complaints, find solutions and discuss better ways to happily co-exist." Chris Hooi, chairman of a residential task force convened in 2013 by the area's Member of Parliament Indranee Rajah, said that while some progress has been made, "it will take a while to facilitate a balance between the two sides". "Tiong Bahru is not a new estate where you can easily plug in new things, like new carparks and large refuse centres." Pino de Giosa, an antique dealer drawn to Tiong Bahru's distinctly local yet genteel vibe, hoped that the authorities would allow a "limited spectrum" of non-intrusive businesses, such as art galleries and boutique concepts, to operate within residential units, rather than adhere to a blanket rule. Other business owners, however, hoped for more consistency in the URA's enforcement of its zoning and licensing rules. According to the URA website, property owners may apply for a change of use for their properties, but approvals will be assessed against the zoning rules in the URA's 2014 Masterplan and should "not cause any inconvenience or disturbance to the community in the area". Ground floor residential units in Tiong Bahru range from 800 sq ft to 1,400 sq ft and typically command sales prices of S$1.2 million to S$1.8 million or some S$6,000 in monthly rental - a 50 per cent premium over upper floor units. Commercial units, particularly those approved for F&B use, can go for double. As to whether the exodus of these unlicensed businesses will dent the neighbourhood's appeal, SLP international executive director Nicholas Mak said that it would depend on two factors: the number of shops affected, and the size of their following. The general increase in rents and sale prices in the area is due to many other factors, such as its popular wet market and food centre and its proximity to the MRT network and the central business district, he said. "In the end, it is the authorised businesses that are really giving the revamped Tiong Bahru its current flavour, not just the unauthorised." Recalling a similar phenomenon where errant property agents would market industrial units for commercial use some years back, Mr Mak further cautioned potential tenants of commercial units to do their relevant checks with authorities on their appropriate use before signing on a lease. "Tenants should not go in blindly, landlords should be aware and agents should not misrepresent. The three parties need to share some responsibility." This is one of the side effect if short term rentals is allowed. Unlike gated private condo, Tiong Bahru Estate is rather porous. It would be tough to trace who is residing here. Given today's volatile security climate, it would make a very ideal hideout. 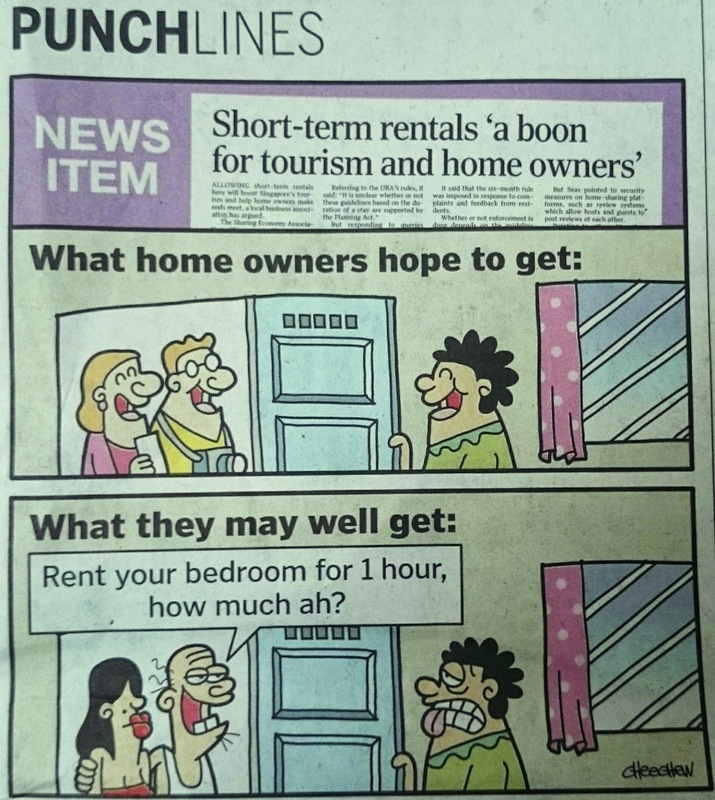 It is time the land owner, the HDB, exert some authority and start demanding Lessee update them on who their tenants are, just like how they are managing the Post War HDB side. Even owners of private properties are obligated to update their MCST when they put in new tenants, otherwise the tenants would be denied entry. At the moment, the Pre-War side is slowly turning into a cowboy estate. Rogue companies and landlords blatantly run service apartments out from these flats. Some apartments even have 3 additional en-suite toilets in the heavily partitioned apartments. Housekeeping is always done after office hours to avoid detection. Of late, food retailers are also joining the GREY bandwagon by turning residential properties into retail outlets. Legally, Hdb doesn't allow units to be converted from residential to commercial space but the mantra seems to be See no Evil, Hear No Evil and Speak no Evil. As long as the permit doesn't come to their inbox, everything in Tiong Bahru "appear" to be running smoothly and efficiently. This denial is almost like someone who did the health check ten years ago and still think he is healthy today. How much rot must the genuine homeowner take before something is done? It's time someone working in the ivory tower takes a regular stroll around the estate....after office hours included. Please help us make this a great place to live in. The Straits Times : Life before HDB: What was the Singapore Improvement Trust? SINGAPORE - Five old housing blocks in Tiong Bahru are being given a new lease of life, even though they were earmarked for demolition almost 20 years ago. From next year, Blocks 1, 3, 5, 7 and 9 on Tiong Bahru Road will be rented to couples waiting for their new flats, under the Parenthood Provisional Housing Scheme. These blocks were built by the now-defunct Singapore Improvement Trust (SIT). They were selected for the Housing Development Board's (HDB) Selective En bloc Redevelopment Scheme in 1995, but have been spared the wrecking balls, and are currently being retrofitted. The SIT was set up in July 1927, under the Singapore Improvement Ordinance, to solve the serious housing shortage then faced by a rapidly growing population. 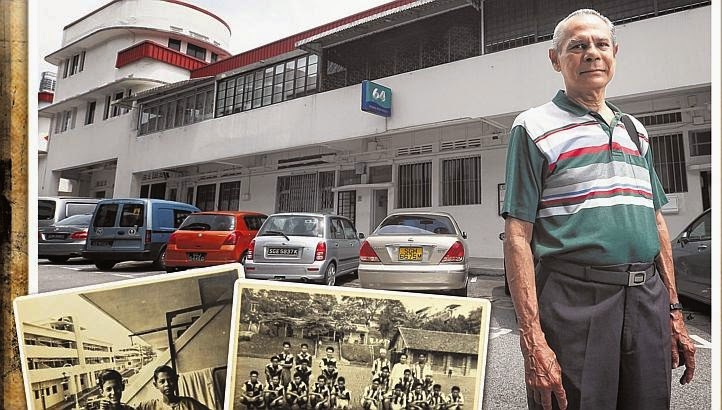 Many of the 23,000 flats it built were in areas such as Tiong Bahru and Old Airport Road. 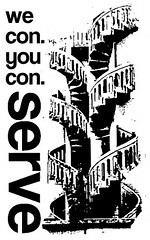 The SIT was dissolved in 1959, and its successor, the HDB, took over in February 1960. SIT architects were conscious of the fact that Singapore was close to the equator, with warm temperatures and high humidity. Hence, SIT flats were built for tropical living, frequently featuring high ceilings, large windows and open, cantilevered balconies. Each flat had two to six rooms. Land scarcity was also less of a concern back then, so these walk-up blocks tend to be under 10 storeys high, without any lifts. Block facades and staircases often bear the distinctive curved forms of the Art Deco movement, which were popular during the 1920s and 1930s. Some blocks also take on the Modernist tendencies of the Bauhaus era, as well as the International Style of highrise flats in a post-Modern vein. 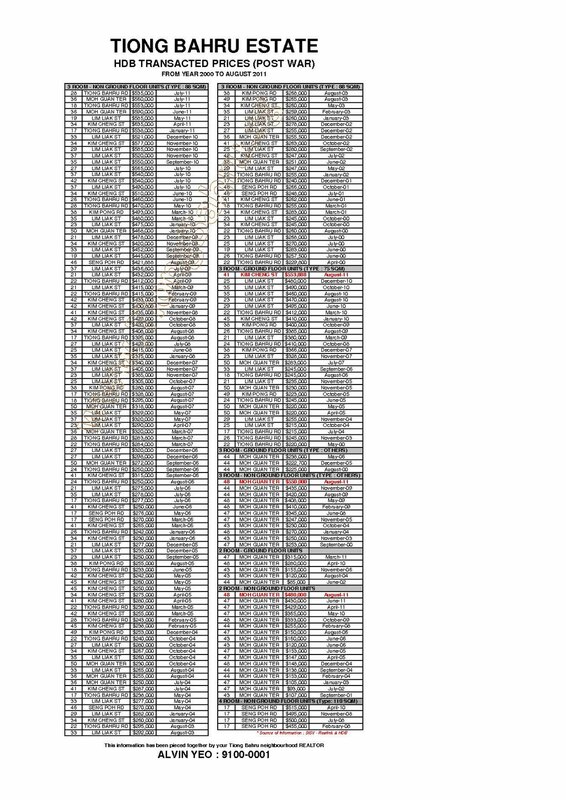 There are currently 138 SIT blocks left standing in Singapore. They range from two to seven storeys, and are located in Bukit Merah, Queenstown, Geylang and Kallang Whampoa. About 35 per cent of them, or 48 blocks, are pending redevelopment. The rest are either being conserved, or there are no plans for them. Blocks 1, 3, 5, 7 and 9 Tiong Bahru Road are not the only SIT blocks currently put to interim use. Three of them, Blocks 2, 3 and 7 on Short Street and Prinsep Street, are leased to educational institutions as student hostels.